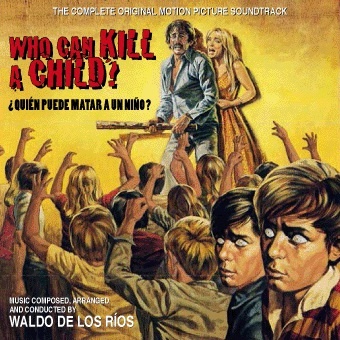 The 133rd Soundtrack of the Week is this double-CD presentation of two Waldo De Los Rios scores: ¿Quien puede matar a un niño? (Who Can Kill a Child?) and La Residencia (a.k.a. The House That Screamed). Who Can Kill a Child? is a great Spanish horror movie with a plot that basically The Birds but with children instead of birds. It's remarkable in being a sun-drenched nightmare, one of the brightest horror movies ever made. 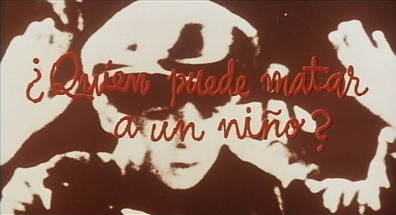 The opening credits use footage of real children maimed and killed in adult wars, thus establishing why kids might decide it's a good idea to wipe out their elders. Both the original soundtrack recording and the album re-recording are on this CD. The original soundtrack recording gets 40 tracks, of which the first is the main theme, a haunting waltz that David Grollman and I used to cover when we first started playing together. We first hear it being hummed by a child. This is followed by the tension of "A Corpse Floats in the Sea" and "Danger at the Beach". "Night Talk (Love Theme)" combines cheesy keyboard sounds with harp arpeggios and heavily reverbed low notes, perhaps a combination of percussion and plucked strings. "To the Island" is an orchestral version of the same theme. Ominous and frightening sounds return for most of the other tracks, some impressively abrasive and strange. The main waltz theme returns a few times. 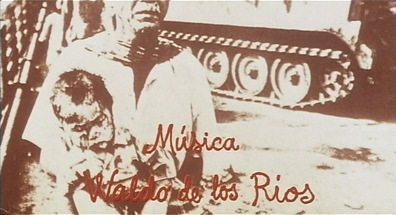 The 14 tracks of the album versions offer a slicker sounding version of the original soundtrack, with various moods, themes and cues combined for longer pieces. 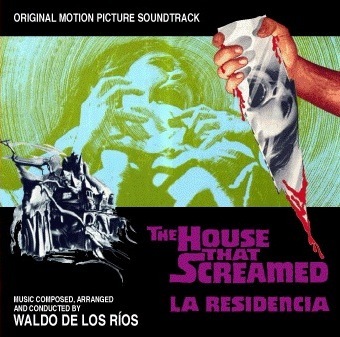 The House That Screamed gets 16 tracks and also has an eerie waltz as its main theme. It's a lusher, more romantic piece than the theme for Who Could Kill a Child?, though, with sensuous string and winds accompaniment and melancholy piano lead. The movie is about somebody murdering the students at a girls' boarding school. From 1969, the movie anticipates many others to come. I've heard that it informed Suspiria, for instance. Most of the cues are suspense atmospheres that make great use of a whole orchestra. The blending of strings and horns with vibes, harp and other percussion is especially rewarding. "Luis Spies" gives an impression of a wind storm while "Encounters at Night" and "Teresa's Flight" are tense, ostinato-driven pieces. "The Elegant Dresses" is a short (half a minute) piece that sounds almost like it could be from Tchaikovsky's Nutcracker Suite or something similar. "Humiliation & Punishments" sounds suitably unhinged. "Madame Forneau" is an otherwordly, wordless vocal piece. "End Title" begins with screaming sounds answered by orchestral yells before eliding into a reprise of the main theme (which had surfaced in several other cues as well).